Day # 3!!!! This day was full of cultural activity, hihihi... We went to many many art gallery. For breakfast in the morning, we were invited by Marian Hinchliffe from AYANA, huhhh, when I can say, NOWHERE beats this place. She's a nice person too . Thanks, Marian. Awesome. Beautiful. Ayana Resort and Spa Bali, where we stayed for ONE SINGLE night (for sure I will come back) in Bali was previously known as The Ritz-Carlton, Bali Resort & Spa - and re-opened in April 2009. It offers 77 hectares of cliff-top scenery overlooking Jimbaran Bay. Then, we continued our trip to other part of Bali, Ubud, the northern side. On the way we tried Suckling Pig Ibu Oka. Well, because I don't eat pork (they are too cute), I didn't try that. But Lawrence said it's so tasty. 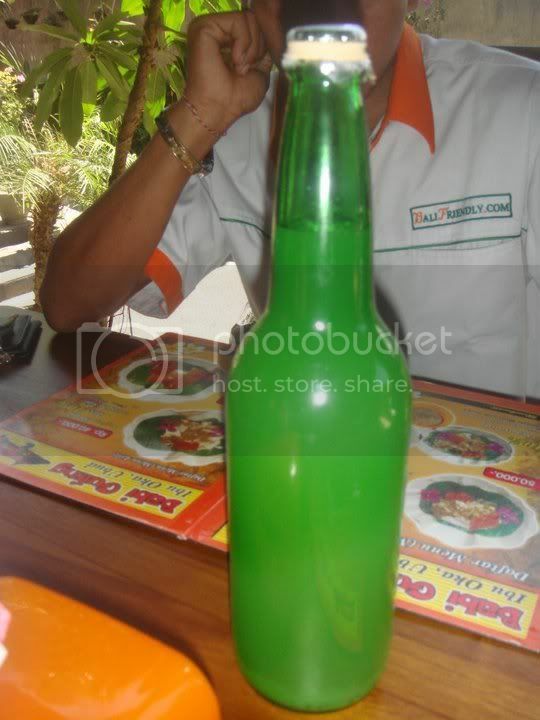 It's Tuak. It's an alcoholic traditional beverage. It's served on the rocks. Lawrence said it tastes like sperm (yieeww) at the end, but I think it's good. Sweet, a bit stiky, and creamy (L kinda right). When we walked out, we saw this. Some people say the world ends when somebody eats this. Both good and bad meaning. I say, this fruit is TREMENDOUSLY TASTY! 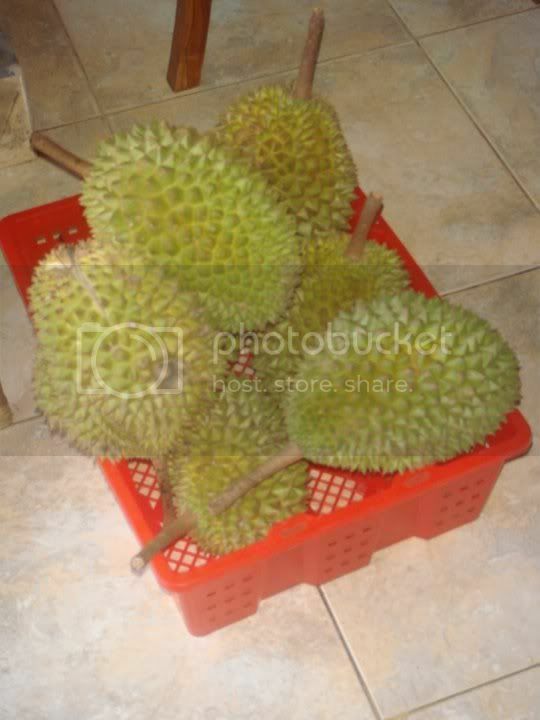 Yep, it's DURIANS!! !